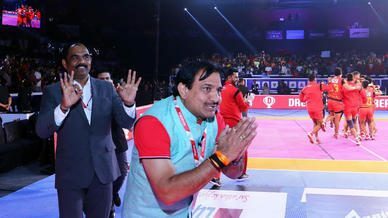 FKH Stars: Surender Singh, the livewire of U Mumba’s defence! 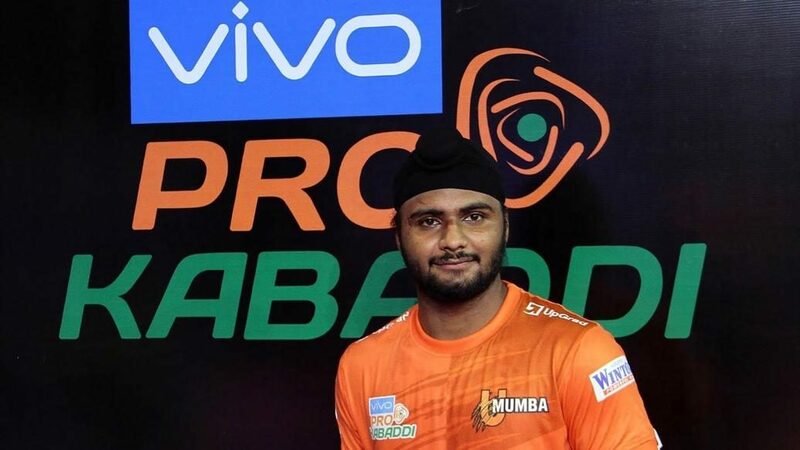 At the VIVO Pro Kabaddi Season 5 Auction in 2017, U Mumba picked up a freshly minted Future Kabaddi Heroes graduate Surender Singh from the ‘New Young Players’ pool to play in the Right Cover slot, a position previously marshalled by likes of Jeeva Kumar and PO Surjeet Singh. 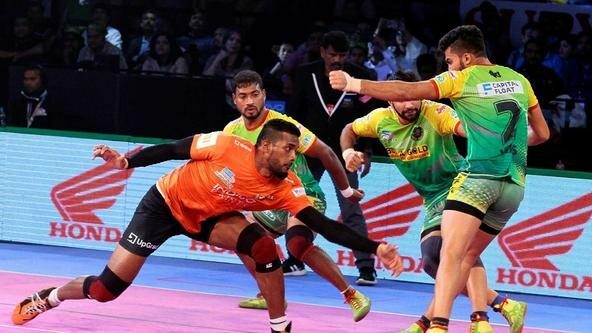 Surender Singh, a powerful man, a tank, who is always ready to pounce at the whiff of a tackle, had quite the topsy-turvy start to his journey with Kabaddi. With no real opportunity to train on the field, Surender improvised and trained on his own, filling up a sack with sand and practicing tackling techniques that he’d observe on the field. While he worked on his game, he also remained optimistic for an opportunity and as luck would have it, it arrived soon enough. “One of the kids in the school team fell ill and the coach asked me if I could fill in. I didn’t hesitate and told him I’m ready,” reminisced Surender. A year later, Surender would be part of his school team that would win the state title and with his confidence soaring, he attended the trials at SAI in Bilaspur and aced it. His coach, Jaipal, at SAI informed Surender about another trial that would change his life forever. “Jaipal Sir told me about the FKH programme and insisted that I give it a go. I did and it has changed my life,” recalls Surender. While Surender had undeniable talent, he was still a raw prospect, something which he makes no bones about. “My tackling technique wasn’t the best. I’d run into a raider and tackle him head first. That wasn’t the right technique. A few times I went in so hard, I was left counting stars,” quipped the youngster. But owing to his stint in the FKH, Surender was able to correct his technique. He made major strides in the technical aspects of the sport and came out a refined, finished product at the end of his stint. 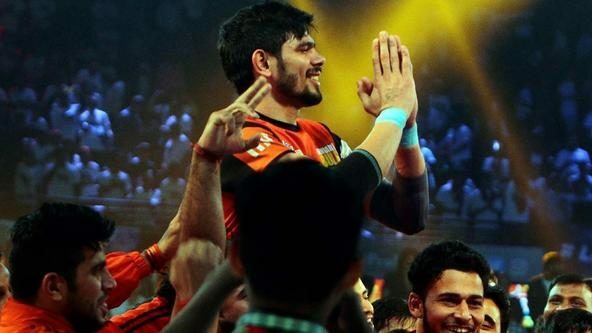 Impressed by what they saw, U Mumba picked up Surender for Season 5 of the VIVO Pro Kabaddi League and the 19-year-old finished his rookie season as U Mumba’s best defender notching up an impressive 58 tackle points in 22 appearances and was also the joint-leader in assists with 28. 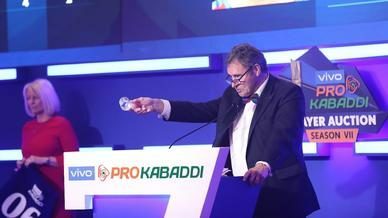 He continued this run of form into his second VIVO Pro Kabaddi campaign as well, finishing Season 6 as U Mumba’s second-best defender with 62 tackle points at strike rate of 48.81, a huge spike from the 38.15 that he managed in his maiden campaign. 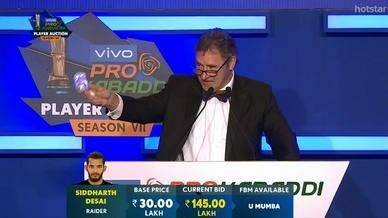 Surender excelled at becoming a smart assister of his teammates’ tackles and created history at the VIVO Pro Kabaddi Season 6 campaign by becoming the first player to assist a staggering 100 tackles in a single VIVO Pro Kabaddi campaign! Despite being just 20 years old, Surender has made a massive impact in his first two VIVO Pro Kabaddi campaigns. He credits much of his success to his training and grooming at the FKH programme, and for the young man from Dehlan (Himachal Pradesh), the sky’s the limit.